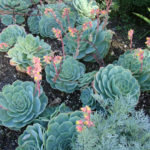 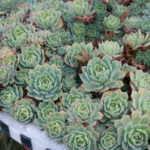 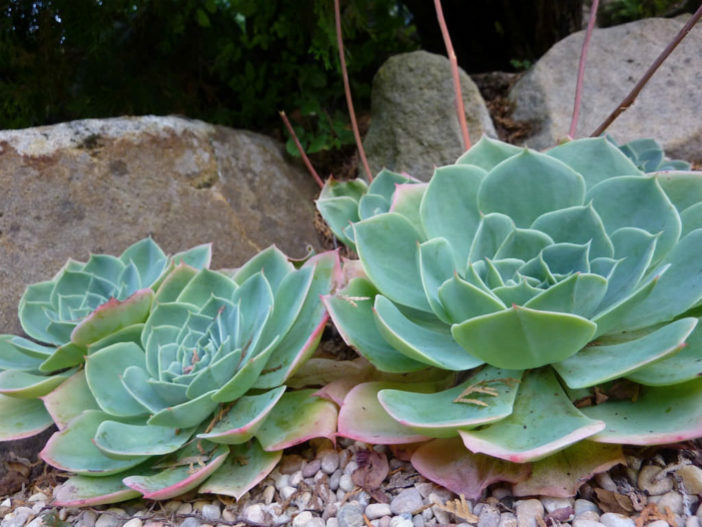 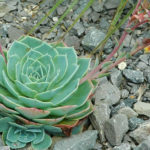 Echeveria secunda is a succulent that forms attractive clumps up to 6 inches (15 cm) tall, tight rosettes of short blue-gray leaves and in late spring appear flowers on up to 1 foot (30 cm) tall arching stems. 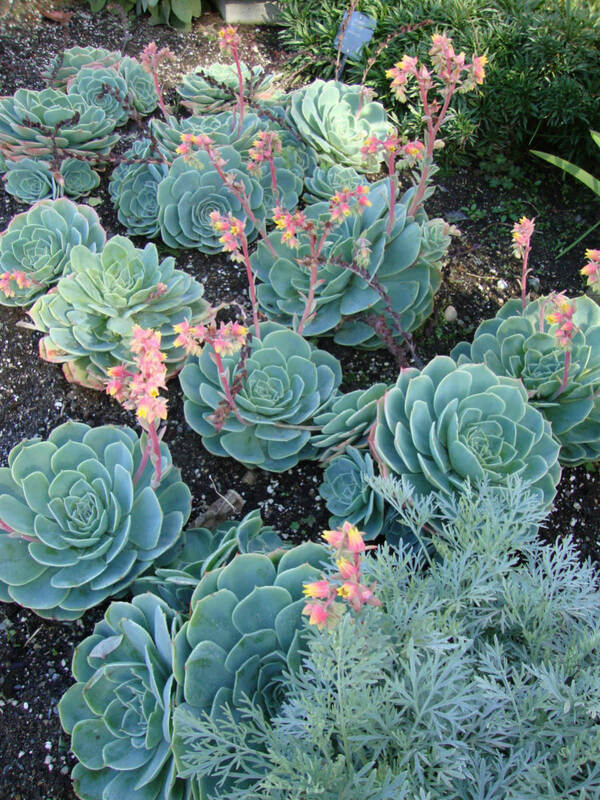 The flowers are fairly large compared to the plant and have red calyces and yellow petals, giving them a bi-colored appearance. 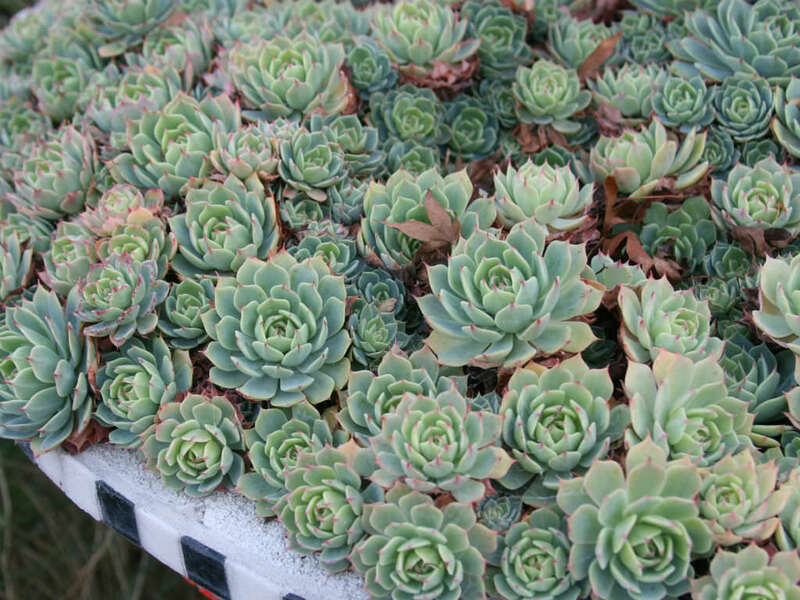 A hint of pink on older leaves and leaf margins is evident, primarily in winter. 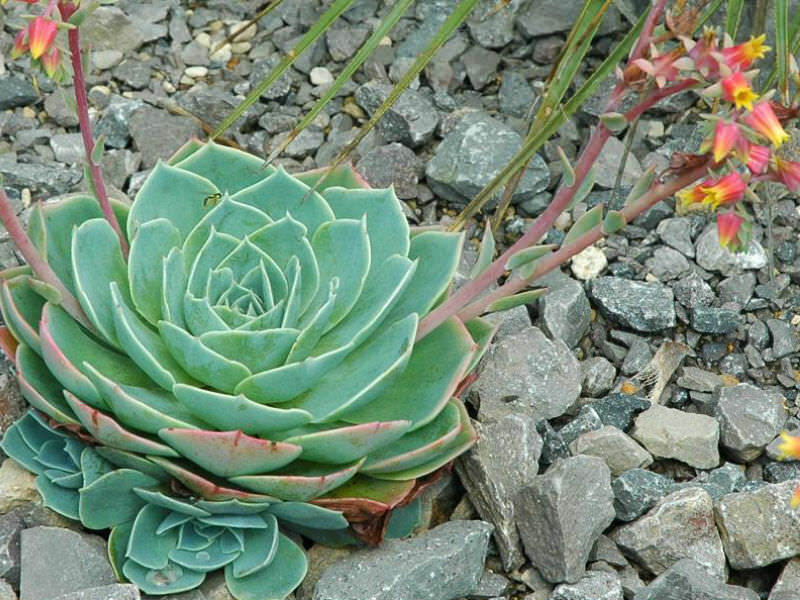 It is native to semi-desert areas of Mexico.